by Andy Higgs in England, News, Places. Another reason to love the British capital? Well, could be…depending on your priorities. Anyway London came in at number one in the Globe Shopper City Index – Europe, a new Economist Intelligence Unit (EIU) research program sponsored by Global Blue. They run the international tax refund scheme for visitors. We´ll have more on this in a separate article. Back to the survey – London beat the likes of Paris, Rome and Madrid due to the variety of shopping districts and goods, accessibility and cultural attractions. So how do you measure how good a city is for shopping then? First of all only European countries with GDP above €50bn were considered, with bigger economies represented by more than one city. Index cities were selected based on economic importance and visitor numbers, with geographic diversity also added to the mix. This selection process resulted in a shortlist of 33 major European cities which were rated for international travel shopping. Some 38 criteria were applied to each city, divided into five categories: shops, affordability, hotels and transport, convenience and culture and climate. True, but high scores in other areas compensated for this. The city’s sheer variety of shopping districts – each with its own distinct character – as well the availability of goods was the biggest point in its favor. 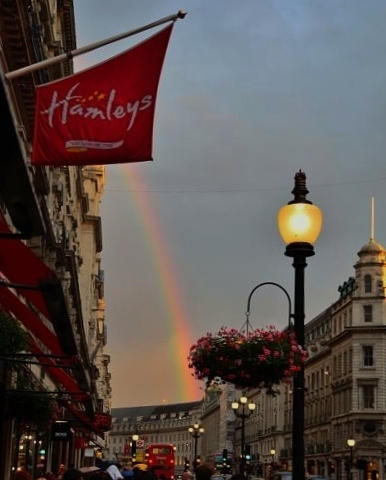 Oxford Street and Regent Street, Knightsbridge and Saville Row represent one end of the scale with their famous stores and brand names; at the other, London´s markets such as Covent Garden, Portobello Market and Camden Market offer a wealth of goods from small traders. London ranked highest on the availability of international and local brands ahead of Paris and Moscow. It´s not just about shopping though – wasn´t culture in there too? That´s right. You need something to do in between those extended bouts of retail therapy. The Index acknowledged London’s wealth of cultural attractions for tourists. The city had the top score for sights, events and the variety of cuisine on offer. That´s not all either. London is highly accessible and had the most annual passenger flights of any Index city in 2010. At 950,000, this is nearly four times the Index average of 240,000, and 200,000 more than the next city on the list, Paris. Indeed. According to the Index the biggest drawback for London is its high prices. Hotels and transport costs are among the highest in the survey, but the the UK capital ranks a respectable 11th for consumer goods, from clothing to cameras. Check out the survey results for yourself – there´s some interesting stuff there and you can also make use of the interactive features on the site to create an index based on your shopping preferences. Given the fact that we’re based in Norway I should perhaps point out that to nobody’s surprise Oslo bombed on this survey, coming second to bottom. Can’t really disagree with that, but for the record one city managed to do worse – Geneva.